Blog Tour – Warrior of Woden by Matthew Harffy. Today is my stop on the blog tour for Warrior of Woden. Book 5 of The Bernicia Chronicles by Matthew Harffy. I’m going to be honest from the start..this book killed me..my heart feels as shattered as Beobrand’s. So much happens in this book not only to excite you but also to crush you. This series continues to go from strength to strength and it shows real skill by the author to keep the series going with such exciting plots. So what is in store this time for Beo? Well war is fast approaching and Oswald must march to stop Penda’s advance. Lets just say things don’t go the way Beo would like but he does get to show what he’s made of and he certainly makes sure the enemy remember his name. What this tale really does well is show the growth of Beobrand. He’s older now.. his connection with men stronger but as the book goes on you can really see how events have taken a toll on Beo. He’s tired of this life but peace seems to be something he will never know. I really enjoyed the addition was ÁstÍgend. I won’t spoil it for you but he stole the show for me, his character shining above others easily. I also loved the development of Cynan the once thrall who really shows his worth to his lord and there’s a little side story with him that plays out that really give him some depth. Ok so let’s get down to it..yeh this author holds no favourites and characters will die.. and you know it isn’t going to be pretty. It hit me hard this time..it was a death I didn’t see coming although I knew it could always happen to anyone. The great thing about Harffy is how he uses death to build on the emotional side of his characters which helps you form a connection with them. Another cracking tale that really knocks you for six. Brutal has always been my word of choice for The Bernicia Chronicles and I stand by that. This entry was posted in Blog Tours, Book Reviews, Historical Fiction and tagged Blog Tour, Bloggers, Book club, Book Lovers, Book Reviews, BookBlog, Books, Historical Fiction, Matthew Harffy, Reading List, Reviews on April 18, 2018 by Bairdy1985. Today I’m doing something a little different to my normal Q & A’s. I’ve been a loyal fan of Matthews for a while now and I recently bought the hardback copy of his book, The Serpent Sword. Now I don’t think there was anything wrong with the self-published book but the new hardback is so gloriously beautiful I just had to own it. One of the clear differences I spotted instantly was this beautiful map! Every good book needs a map! The new release got me thinking. Beobrand really has grown over the series from a young man into an older but not necessarily wiser man, trusted by many even though he doesn’t see his own worth in himself. There is deep changes within him during Killer of Kings as it’s time for Beo to head home and face his past..
It’s be a long journey for Beobrand and also for the author. Matthew very kindly offered to answer a few questions about his work. So one of the big changes since I first read The Serpent Sword is you’ve been picked up by Aria Fiction (Well-deserved I might add). One of the biggest OMG moments is seeing a hardback version of The Serpent Sword hit the shelves. It’s really great to have been along with you on your journey and I’d like to ask a couple of questions. Is it a good feeling to have a publisher behind you and do you miss anything about being self-published? It is great to have a team of professionals behind me now. The feeling that things are happening behind the scenes is really amazing. This includes things such as the brokering of translation deals, or selling the audio rights to Audible, and things like press releases, marketing and publicity. As to whether I miss anything about being self-published, I think the truthful answer is not much. I suppose I am a control freak, and I have very strong ideas about how I like to do things, so if I miss anything, it is having total control. Having said that, I think Aria and its parent publisher, Head of Zeus, are perhaps different from the norm in terms of publishers, as they allow me a lot of input into things like the covers and are keen to involve me in most of the decisions, which I am really grateful for. Aria is a very young, dynamic publisher and they can get things done very quickly. I think I would possibly go mad working with one of the much bigger publishers, that have very slow turnaround from handing in a manuscript to seeing it published. As it is, I am already sometimes frustrated by the loss of agility from when I was self-published. However, any perceived loss of control is more than outweighed by improvements to quality and visibility and distribution of my books. Do you feel any pressure to churn out the books or do you thrive having targets to meet? Yes and no! Having deadlines that are written into a contract certainly focuses the mind and I would go as far as to say that at the beginning of the year, when I knew I had a new manuscript to deliver in November and I had nothing written, I felt the pressure. Now that I am hundred thousand words into the first draft of book 5, Warrior of Woden, that pressure has lessened. However, once I’ve handed it in, and I look towards book 6 which is due for delivery to my editor by November 2018, I am sure the pressure will be on me again. So there is pressure, but I actually think having targets is a really good thing for any long project. Even when I was self-published, I set myself weekly and monthly goals. Without them there is a tendency to drift and not to progress towards a defined target. Since being picked up have the books gone through more editing? The Serpent Sword and The Cross and The Curse both went through a couple of extra rounds of editing. But as they had already been published and edited when I was self-published, the process was lightweight, with not many changes being made. For the subsequent books, Blood and Blade, Kin of Cain and Killer of Kings, the editorial process has been slightly more thorough than when I was self-published I would say, mainly due to the fact that the publishers pay different types of editors, such as copy editors and proofreaders, who are professionals. When I did these things myself, I enlisted family and friends and was lucky to have people with an eye for detail who I could turn to. I’ve been very impressed with some of the comments from my copy editor, who manages to spot points of inconsistency in things like names and spelling between books. For example, he mentioned that I had used the name of a small character in book 3 that was also mentioned in book 1, but in each occurrence it was a different character being referred to but sharing the same name. It was a very minor point but by changing the name in one of the books it removes any confusion that might be there for the reader. So far in your writing career what’s been your highlight? It’s hard to name just one. Getting the first good reviews from total strangers, finishing each novel, signing with Aria. I think recently the two things that stand out are hearing the audiobooks for the first time (I was worried that I wasn’t going to like them, but in the end I loved what Barnaby Edwards has done with them), and holding in my hands the recently released hardback edition of The Serpent Sword. There had been two versions of print on demand paperbacks of the book already, but for some reason the hardback feels more real. Not just that, but the book is now available in libraries and in high street shops, which is a huge step forward. There are lots of moments when the writing process gets me down. It is by definition solitary, and it is easy to lose sight of the ending of the story and to get lost. Now that I have a few books under my belt I push through these moments, trusting that I’ll find a way. So far, I’ve managed to do just that. It’s also very disheartening to receive truly negative reviews. I understand that not everyone is going to like my writing, and that’s fine, but from time to time somebody will leave a review online that seems to be trying to cause offence. I know all authors get this type of review, so I know it’s nothing personal, but it certainly feels personal when somebody is slagging off a book it’s taken a year to write! It doesn’t affect me now as I am not actively sending out my manuscripts looking for a deal, but earlier on in my career, when I was looking for a publisher and, before that, an agent, it was quite demoralising to receive rejection after rejection. Writing certainly isn’t for the fainthearted. Looking at the hardback the biggest improvements I see is the map which is much more prominent and detailed. Whose idea was it to make this addition? I agree! The map is wonderful. I had always wanted a better map in the books, but when I self-published I was doing all of the work myself, including the maps, so I didn’t have the skills or the time to do anything more detailed than a simple map of Britain with the place names of the major locations in the books. When releasing the books again, Aria spruced up the maps I had created, making them look more artistic, but they hadn’t added any more detail. When the hardback was being designed, I went to a Head of Zeus sales conference in London and was approached by Nicolas Cheetham, the deputy MD of the publisher. He produced a rolled up printout of a new map that was more detailed and drawn in the style of Tolkien’s maps from Lord of the Rings! Nic had read the Serpent Sword and thought a better map would really elevate the hardback release. Having seen the final product, I can only agree with him. The plan at the moment is to include similar style maps in all subsequent hardback releases of the Bernicia Chronicles. Who picks the quotes for the backs of the books, you or your publisher? That was the publisher. There were a few that didn’t get used on the hardback, but I don’t know how they decided which to use. I’m guessing other quotes might get used on the paperback edition. The most important question..when’s the next hardback coming out? The hardback of The Cross and The Curse is due for release in November 2017, coinciding with the mass market paperback release of The Serpent Sword. Just in time for Christmas! So the next book for release is Killer of Kings. What should we expect? In Killer of Kings we follow Beobrand south into East Anglia. There he quickly finds himself embroiled in a battle of epic proportions. On his travels he also returns to his old home village in Kent where he meets old friends and uncovers some dark secrets. Right now I am writing book 5 of the Bernicia Chronicles, Warrior of Woden. After that, it will be on to book 6! When I finish that, we’ll have to see what’s next. I’ve got a few ideas about more books in the series, or starting a new series, but time will tell! Thanks for the great questions. It’s always a real pleasure doing an interview on your blog. Thank you Matthew for taking the time to answer my questions. Want a Hardback copy of The Serpent Sword? Check out Amazon for more details. This entry was posted in 10 Questions With... and tagged Authors, Bloggers, Book club, Book Lovers, Book Reviews, BookBlog, Books, Historical Fiction, Matthew Harffy, Reading, Reading List, Reviews on June 8, 2017 by Bairdy1985. Killer of Kings Blog Tour! Today it’s my turn on the blog tour for Killer of Kings by Matthew Harffy, book 4 in the Bernicia Chronicles series. If you’ve not read me reviews for the rest of the series and the standalone novella click the images below to find out more! Want to know more about book 4? Well here’s the blurb followed by an extract to hook you in. The cry came from old Halig. He worried like a maid. Wuscfrea ignored him, leaping up to the next branch of the gnarled oak. The bark was damp and cold, but the sun was warm on his face as he looked for the next handhold. They had been enclosed in the hall for endless days of storms. Great gusts of wind had made the hall creak and moan as if it would collapse and when they had peered through the windows, the world had been hidden beneath the sheeting rain. After so long inside it felt wonderful to be able to run free in the open air. A crow cawed angrily at Wuscfrea from a perch high in the canopy of the trees. The boy laughed, echoing the bird’s call. “Away with you,” Wuscfrea shouted at the creature. “You have wings, so use them. The sun is shining and the world is warm.” The crow gazed at him with its beady eyes, but did not leave its branch. Wuscfrea looked down. Fair-haired Yffi was some way below, but was grinning up at him. “Wait for me,” Yffi shouted, his voice high and excited. “Wait for me, uncle,” Wuscfrea corrected him, smiling. He knew how it angered Yffi to be reminded that Wuscfrea was the son of Edwin, the king, while he was only the son of the atheling, Osfrid. The son of the king’s son. “I’ll get you,” yelled Yffi and renewed his exertions, reaching for a thick branch and pulling himself up. Wuscfrea saw a perfect path between the next few branches that would take him to the uppermost limbs of the oak. Beyond that he was not sure the branches would hold his weight. He scrambled up, his seven-year-old muscles strong and his body lithe. The crow croaked again and lazily flapped into the sky. It seemed to observe him with a cold fury at being disturbed, but Wuscfrea merely spat at the bird. Today was a day to enjoy the fresh air and the warmth of the sun, not to worry about silly birds. For a moment, he frowned. He hoped Yffi had not seen the crow. Crows were the birds of war. Whenever he saw them Yffi recalled the tales of the battle of Elmet, and how the corpse-strewn bog had been covered by great clouds of the birds. The boys had frightened themselves by imagining how the birds had eaten so much man-flesh that they could barely fly. It was a black thought. As black as the wings of the crows. To think of the death of their fathers brought them nothing but grief. Wuscfrea shook the thoughts away. He would not allow himself to be made sad on such a bright day. Glancing down, he saw that Yffi was struggling to reach a branch. He was a year younger than Wuscfrea, and shorter. “Come on, nephew,” Wuscfrea goaded him. “Are you too small to join me up here? The views are fit for a king.” Wuscfrea laughed at the frustrated roar that came from Yffi. Yet there was no malice in his words. Despite being uncle and nephew, the two boys were more like brothers, and the best of friends. Still, it was good to be the superior climber. Yffi, even though younger, was better at most things. The long storm-riven days had seen the younger boy beat Wuscfrea ceaselessly at tafl and Yffi had joked that someone with turnips for brains would only be good to rule over pigs. The words had stung and Wuscfrea had sulked for a while until Yffi had brought him some of Berit’s cheese as an offering of truce. Wuscfrea loved the salty tang of the cheese and the insult was quickly put aside. Now, as he pulled his head and shoulders above the thick leaves of the oak, Wuscfrea wondered whether he would ever be king of anything. Certainly not of this land, rich and lush as it was. This was Uncle Dagobert’s kingdom. Far to the south of Bernicia and Deira, the kingdoms his father had forged into the single realm of Northumbria. Far away and over the sea. A safe distance from the new king. Wuscfrea breathed in deeply of the cool, crisp air. The treetops on the rolling hills all around swayed in the gentle breeze. The leaves sparkled and glistened in the sunlight. High in the sky to the north, wisps of white clouds floated like half-remembered dreams. One day, he would travel north with a great warband, with Yffi at his side. They would have ships built from the wood of this great forest and they would ride the Whale Road to Northumbria. They would avenge their fathers’ slaying and take back the kingdom that should have been theirs. Wuscfrea’s chest swelled at the thought. “Vengeance is a potent brew,” Halig had said to him when they had spoken of the battle of Elmet one night over a year before. “Drink of it and let it ferment in your belly. And one day you will wreak your revenge on the usurper, Oswald,” the old warrior had touched the iron cross at his neck. Wuscfrea had thought of how Jesu told his followers to turn the other cheek when struck and wondered what the Christ would think of the lust for revenge that burnt and bubbled inside him. But then Wuscfrea was the son of a great king, descended from the old gods themselves so they said, so why should he care what one god thought? Beo’s back and this one is just as brutal as it’s predecessors. Beobrand is older but still as sharp and hot-headed as always. Old enemies show their faces again but this time Beobrand might actually be able to rid himself of them..that ever present shadow looming over him. War is coming and while on a mission for Oswald Beo is sucked in and the bloodlust takes holds..it’s time for a blood feud to be settled. We get a great mix of action and suspense as the focus switches from Brobrand to Reaghan back home struggling to figure out her place in Beobrand’s absence. She’s resented by others because of her past but she’s powerless to change it.. While the action is non-stop this switch of focus really gave it a suspenseful build up. Chapter 15 was my favourite chapter of the story, real white knuckle moment. Scary and exciting at the same time. Harffy once again holds no favouritism with his characters..not all Beo’s gesithas will make it home… but neither will Beobrand’s enemies. The character I most enjoyed was Wynhelm. I didn’t like him at first but as he developed throughout the tale I warmed to him like I felt Beo did to. Although he may rub Beo up the wrong way he’s loyal and is faultless in his logic. The one difference I felt this book had over the rest in the series is that Beobrand gets some closure, so it does leave me wondering what could possibly happen next. Harffy is one of my top authors who never disappoints and he has my thanks for having me on the blog tour. I would also like to thank Yasemin at Head of Zeus who organised everything. While I’m always grateful for the ARC of the book it was my pleasure to purchase the book on release. Killer of Kings is a strong book that solidifies this series as being one of the best to be published in recent years. My verdict – 5* all the way! Keep an eye on my blog tomorrow for a Q&A with the author himself who kindly answered some of my burning questions. If you’d like to know more head to Amazon or Goodreads. This entry was posted in Blog Tours and tagged Bloggers, Book club, Book Lovers, Book Reviews, BookBlog, Books, Historical Fiction, Matthew Harffy, Reading, Reading List, Reviews on June 6, 2017 by Bairdy1985. Looking for a good book this weekend? Once in a while I like to promo some books/offers that are just too good to pass up. Well today I’ve seen three books at bargain prices that I’d like you to know about. The first book is a short story by Pam Lecky called In Three-Quarter Time. It’s only 22 pages so perfect for a quick read. I’ve not read it yet but will be doing so myself this weekend and will be reviewing shortly so I’d love to see what you make of it. Dublin 1914 and war is declared. Each of the Cusack family must face the consequences in their own way. Josie and her young man, Anthony Lanigan, have plans for the future. But her sister Lily is also secretly in love with Anthony and has no idea if her feelings are returned. Anthony is about to emigrate to America to make his fortune. Will he ever return, and if he does, who will eventually win his heart? Set against a pivotal time in Irish history, from the Dublin Lockout in 1913 through the First World War to the brink of the birth of the Irish Nation, this story will take you through a family’s experience of war and tragedy, loss and love. I’ve read Pam’s previous work The Bowes Inheritance and absolutely loved it so I’m certain I’ll enjoy this short tale too. In Three-Quarter Time is currently FREE! so you’ve got nothing to lose. Click the image above to head to Amazon. The next book you should all be downloading is The Serpent Sword by Matthew Harffy. You can check my review of the book here. Beobrand is compelled by his brother’s almost-certain murder to embark on a quest for revenge in the war-ravaged kingdoms of Northumbria. The land is rife with danger, as warlords vie for supremacy and dominion. In the battles for control of the region, new oaths are made and broken, and loyalties are tested to the limits. As he closes in on his kin’s slayer, can Beobrand mete out the vengeance he craves without sacrificing his honour… or even his soul? Matthew has become one of my favourite authors and at 99p this is a steal! Click the image above to head to Amazon. Two years have passed since the emperor’s loyal Praetorian guardsman Gnaeus Marcius Rustius Rufinus foiled Lucilla’s great assassination plot. Plagued by the ghosts of his past, Rufinus has enacted his own form of justice upon the praetorian cavalrymen who murdered the imperial agent Dis two years earlier. But the Fates will not let Rufinus rest. Rome is beginning to seethe with rumour and conspiracy as Perennis, the prefect of the Praetorian Guard, and Cleander, the imperial chamberlain, continue to play their ‘great game.’ With the tide of opinion turning against their commander, Rufinus and his friends embark upon a mission to save the Prefect’s family, only to uncover a plot that runs deep… to the very heart of the empire. Armed with rare and dangerous evidence, Rufinus faces insurmountable odds in an attempt to bring the truth to light. To save his prefect. To save Rome. To save everyone he cares about. I’ve loved every book I’ve read from this author but boy has he wrote a lot ha ha. If I want a book to read I’m guaranteed to enjoy Turney is the man! At 99p it’s a bargain! Click the picture above to head to Amazon. Please let me know what you think of the books if you’ve already read them. It’s always fun to read others views on books I’ve read. This entry was posted in Recommended Reading and tagged Authors, Bloggers, Book club, Book Lovers, Book Reviews, BookBlog, Books, Historical Fiction, History, Matthew Harffy, Pam Lecky, Reading, Reading List, Reviews, Romance, S.J.A. Turney, Short Stories, Writing on March 17, 2017 by Bairdy1985. 6th March – History…The Interesting Bits! Matthew has kindly wrote a post about what the future holds which will follow on from my review so sit back and enjoy! My thanks go to the author and Yasemin at Head of Zeus for making this blog tour happen! AD 630. Anglo-Saxon Britain. A gripping, action-packed historical tale set in the world of The Bernicia Chronicles. Perfect for fans of Bernard Cornwell. Winter grips the land in its icy fist. Terror stalks the hills, moors and marshes of Bernicia. Livestock and men have been found ripped asunder, their bones gnawed, flesh gorged upon. People cower in their halls in fear of the monster that prowls the night. King Edwin sends his champions, Bassus, Octa and band of trusted thegns, to hunt down the beast and to rid his people of this evil. Bassus leads the warriors into the chill wastes of the northern winter, and they soon question whether they are the hunters or the prey. Death follows them as they head deeper into the ice-rimed marshes, and there is ever only one ending for the mission: a welter of blood that will sow the seeds of a tale that will echo down through the ages. When I first read The Serpent Sword I was shocked at how quickly Octa disappeared from the tale, it’s this murder that sets Beobrand on his journey but I was left wondering who Octa really was.. was he anything like his brother? Well now we have the chance to see a little of the man himself in a short story set before the events The Serpent Sword. 86 pages is a decent amount of pages for a short tale in my opinion and Harffy doesn’t hold back. For me what I really enjoyed was this tale has a bit of fantasy and mystery to it. The unknown force that is attacking people..is it human or beast.. either way the King wants it dead! Octa sets out with a band of men to prove himself to his King and one of my favorite characters is included in this group, Bassus! oh how I love that man. Harffy weaves a tale which includes the death and gore we are used to but it also manages to give some depth to Octa that wasn’t possible before. The tale is full of suspense, it’s dark, gritty and gruesome..what more could you possibly want? When I was reading the tale I couldn’t help but see Octa as Beowulf and reading the author note it was really great to see the Harffy’s thought process on this. It really made the tale stand out. Personally I feel Harffy has loads to offer and I hope to see more shorts in the future as I feel they bring depth to the authors world and allow them the chance to share some great stories with us the readers. When I commit to an authors work I want to feel like they are committing to me also..to give me their best and Harffy never disappoints. Kin of Cain is thriller/mystery/fantasy/myth/folklore and so much more wrapped in to 86 glorious pages and it’s well worth the asking price. If you’d asked me four years ago what the future held for me and my writing I would have said I hope to find an agent and then get published. In February 2013 I was close to finishing the first draft of my debut novel, The Serpent Sword. I’d never written anything longer than a few hundred words before and I could see no further than completing the book and somehow getting it out in front of readers who hopefully would like it. That was it. I really had no ambition beyond that, apart, of course, from the secret dream of selling millions of books and becoming rich enough to retire to a tropical island somewhere. But we won’t talk about that. So much has changed in the last four years. I finished The Serpent Sword and found an agent. I then wrote the sequel, The Cross and the Curse, while my newly-acquired agent tried to sell the first book, and, unfortunately, failed. This failure pushed me to self-publish both books, whilst pressing on with the writing that had somehow become part of my life by this point. Both books were doing well and garnered many positive reviews. This finally piqued the interest of a publisher, so I signed a contract with Aria, a new imprint of publisher, Head of Zeus. Aria re-published the first two books and then published book three of the Bernicia Chronicles, Blood and Blade. They also managed to sell the rights for the three novels to Audible, who have now released the audio books for them, narrated by a great actor called Barnaby Edwards. I have also written a prequel novella, Kin of Cain, which is out now, and completed book four in the Bernicia Chronicles, Killer of Kings, which is due out in June. I am now well into the first draft of book five in the series, which will also be published by Aria, who have plans to release all the books in hardcover and mass market paperback in the coming months and years. I am even hearing talk of possible translations of the books in the works! The point of this rambling on about the past and all the great things that have happened in the last four years is that I had no idea what would happen then, and I don’t really know what the future will bring in the next four years. But what I do know is that there will be more novels in the Bernicia Chronicles. Beobrand’s tale marches on into the seventh century and he will see more kings come and go. He will face his foes in the clash of shieldwalls in battles throughout the island of Albion and, who knows, perhaps even beyond its shores. And when I decide to move on from Beobrand? When I am done with the mead hall and the shieldwall? What then? Well, I would love to write a western, but I am told there is no money in them. If I am ever close to living in my dream where I have enough money to write what I want and not care about how many people will read it, I will probably turn my hand to the American West. I can almost smell the rotgut whiskey and the pungent stench of gunpowder in the air of a rowdy cattle town when the ranchers and their cowhands have rolled in from the dusty trail. If you look carefully, you will see much of the so-called Wild West in the Bernicia Chronicles, but I would relish the chance to write at least one book set on the Frontier of civilization in the 19th century. If, as is much more likely, I will have to write books that might sell and which appeal to readers of my books, I have an idea for a Viking saga, which actually has elements of a western in it. But I can say no more now, as it is just a twinkle in this author’s eye! It’s either that or romance, which my wife assures me sells better than the violent books I write. I’m not sure I would do very well at that, but I might have to think of pen name if I want to find out! I am sometimes tempted to write a fantasy. I am a huge fan of writers like J.R.R. Tolkien, Robert E. Howard and David Gemmell, so I have a firm understanding of the genre. And the thing that I like most about it, is that I would not have to stick to historical facts! In many ways, the stories I tell could easily be transposed into a word of epic fantasy. But as I am writing historical fiction, I am constrained by what is known to have happened, the technology available, and when things occurred. Oh, and no dragons or magic! I would love the chance to be able to just create a plot and write whatever I wanted because I would be in total control and nobody could tell me I had got something wrong, as it would be my creation! So, what of the future? I think we’ll have to wait and see. But if people keep buying my books, I think I can safely say I’ll continue to write them. Hopefully others will enjoy whatever directions in which the muse takes me. Matthew Harffy is the author of the Bernicia Chronicles, a series of novels set in seventh century Britain. The first three books in the series, The Serpent Sword, The Cross and the Curse and Blood and Blade are available on Amazon, Kobo, Google Play, and all good online bookstores. Kin of Cain, a standalone prequel novella set in the same world as the Bernicia Chronicles was published on Amazon and all good online bookstores on March 1st 2017. Killer of Kings , the fourth of the Bernicia Chronicles, is available for pre-order now on Amazon and all good online bookstores. 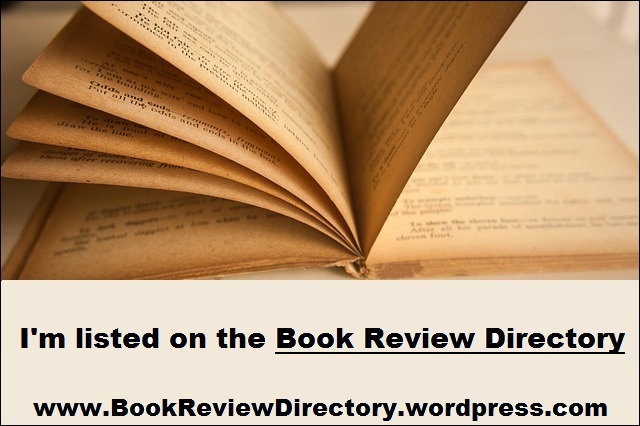 This entry was posted in Blog Tours, Guest Posts, Guest Posts - Authors, Historical Fiction and tagged Bloggers, Book club, Book Lovers, Book Reviews, BookBlog, Books, Historical Fiction, Matthew Harffy, Reading, Reading List, Reviews, Short Stories, Writing on March 3, 2017 by Bairdy1985. Now I’m sure you heard of of Matthew Harffy before and If you’ve been following my blog for a while you’ll know I’m a massive fan of his work. As luck would have it Matthew has kindly offered me the chance to listen and review a copy of the 1st book in The Bernicia Chronicles series, The Serpent Word. I reviewed the physical book back in August 2015! Has it really been that long??? This series has come a long way since then and truth be told the Audiobook adds nicely to the collection. I don’t want to cover old ground so if you didn’t see my original review click here to open a new window – The Serpent Sword. Beobrand is compelled by his brother’s almost-certain murder to embark on a quest for revenge in the war-ravaged kingdoms of Northumbria. The land is rife with danger, as warlords vie for supremacy and dominion. In the battles for control of the region, new oaths are made and broken, and loyalties are tested to the limits. With no patronage and no experience, Beobrand must form his own allegiances and learn to fight with sword and shield. Relentless in pursuit of his enemies, he faces challenges which transform him from a boy to a man who stands strong in the clamour and gore of the shieldwall. As he closes in on his kin’s slayer and the bodies pile up, can Beobrand mete out the vengeance he craves without sacrificing his honour…or even his soul? So focusing on the Audiobook itself, what did it offer me over the written text? Well that’s easy, Barnaby Edwards the narrator.. Wow! Now I’ve listened to a few Audiobooks so far and some things that can really bug me as a listener are the pace and also the oomph in which the tale is told. What do I mean by oomph? Well passion and emphasis..When I hear the narrator speak I want feel the emotion. This Barnaby Edwards got spot on for me. His tone of voice suited the tale and he just gave it that extra something to make the audio tale interesting. If a listener doesn’t like the narrator you’re screwed but Barnaby didn’t put a foot wrong for me. Going back to the tone of Barnaby’s voice, well as I’ve said it suited the tale. He has what I can only describe as a grittiness to his voice and that was most enjoyable when changing from one character to another as he managed to make it feel like you were listening to different people. Overall The Serpent Sword is one of my favourite books and the audio version does it justice. The hard thing for Audiobooks is that I feel they need to work harder to keep the listener happy. With a written book the reader can read at their own pace and set the tone of voices and such in their own mind.. with audio you are relying heavily on the narrator. So to summarise, this is one hell of a bloody and gritty tale perfectly narrated. The pace was spot on at just over 12 hours to finish the book and I bloody well enjoyed listening to it. My only advice is don’t listen to it while your partner is asleep, when the action starts and you get excited they don’t seem to enjoy being woke up because you’re bouncing around the bed pretending you have your own sword. This entry was posted in Audiobooks, Historical Fiction and tagged Audiobooks, Bloggers, Book club, Book Lovers, Book Reviews, BookBlog, Books, Historical Fiction, Matthew Harffy, Reading, Reading List, Reviews on February 3, 2017 by Bairdy1985. I’m not quite sure how you could have missed it but the third book in The Bernicia Chronicles was released 1st December and I’m lucky enough to be part of the blog tour. Matthew has kindly allowed me to share with you an extract from chapter one of the book to hook you in! 635AD. Anglo-Saxon Britain. A gripping, action-packed historical thriller and third instalment in The Bernicia Chronicles. Perfect for fans of Bernard Cornwell. Oswald is now King of Northumbria. However, his plans for further alliances and conquests are quickly thrown into disarray when his wedding to a princess of Wessex is interrupted by news of a Pictish uprising. And if you’d like to read my reviews on the previous installments click below to open a new window! They attacked at night. Beobrand had known they would. The ragged group of Picts was driven by their desire for blood and death; their hunger for vengeance. And that was something he understood well. The Picts descended on them in the stillest part of the night, as silent as the wraiths that haunt the burial mounds of ancient kings. Blades glimmered dully in the cool starlight. Approaching from the south, they were hopeful for the element of surprise. They had traipsed far to the west before crossing the river Tuidi and then circling round to move on Ubbanford from the desolate hills where few men lived. The plan was good, but Beobrand was also cunning. Anticipating such a move from his enemies, he had set his men to watch the hills. At sunset, Attor, the most lithe and soft-footed of Beobrand’s warband, had padded into the newly-finished great hall. “They are coming,” he’d said, the glint in his eye from the hearth fire speaking of his thirst for battle-fame. “How many?” Beobrand had asked, setting aside his horn of mead unfinished. He would need his wits about him this night. Beobrand had scowled. He hoped all the planning was enough. His warband would be outnumbered, it was true, but they would also be prepared, armed and waiting for the attack. He had stood, pushing his freshly-carved gift-stool back and looking at each of his warriors, his gesithas, in turn. He nodded, his face grim in the flickering flame light. Now, in the pre-dawn gloom of the summer night Beobrand watched as the shadows of men flitted between the buildings. They made their way towards the hill where the new hall commanded the valley. He straightened his right leg, tensing his calf muscle, testing it. He cursed silently. The arrow wound was still stiff, not fully healed. He could not run. He would have to spring the ambush sooner than he would have liked, or else he feared he would not be able to close with the enemy. Beobrand felt the throb of the leg wound and wondered whether Torran was amongst the Picts who crept through his settlement. Torran, son of Nathair, had loosed the arrow that had skewered Beobrand’s leg. But not before Beobrand had slain his brother. He flexed his left arm, wincing. The skin pulled at recent scabbing where Broden’s axe had bit deeply into his flesh. He bared his teeth in the blackness. The pain and memories of the battle at Nathair’s hall only weeks before brought whispers of the battle fury into his thoughts. He had felt little these last few weeks. His lack of feelings frightened him more than the thought of bloodshed. He signalled to Acennan who stood in the star-shadow of the smithy’s forge. He could barely make out his friend’s form in the darkness, but there was the slightest of movements in the gloom and then a piercing blast on a horn, as Acennan announced the moment of the ambush to the defenders who hid in the night. Light flared suddenly as men uncovered torches and thrust them into prepared piles of kindling. Beobrand’s gesithas burst from the shadows, their weapons and armour shining red in the sudden firelight. Beobrand too leapt forward, drawing his fine sword, Hrunting, from its fur-lined scabbard. He hurried towards one intruder, whose back was turned to him. He limped forward as quickly as he could, clumsy on the wounded leg. His arm felt naked without a shield, but he had decided before the fight that a linden board would hinder him in his current state. Both his arm and leg would heal, in time, but for now, he would need to fight without a shield, and hope that the Picts did not run away before they could be slaughtered. The man who was the focus of his attention turned towards him at the last moment. His face was pallid. He was young, probably less than twenty years, perhaps the same age as Beobrand himself. But he was no warrior. He held a long knife, but had barely raised it to defend himself when Hrunting’s blade sliced into his throat, splashing warmth over Beobrand’s forearm and face. The young Pict fell back silently, his eyes wide, mouth opening and closing like a beached salmon. With the first kill of the night, battle lust descended upon Beobrand. After the weeks of inaction, the numbness after Sunniva’s death and the events at Dor, Beobrand embraced the battle-ire, welcoming the familiar rush of power as a cold man clutches to a warm cloak in a blizzard. I’m so glad to be back in Beobrand’s world..it’s not been that long since the last book but I’ve been chomping at the bits and boy did Harffy use the time well! Straight from the off the book just felt tighter, more defined. Beobrand has been wonderfully developed over the last two tales in the series that he’s grown and I felt this growth allowed for the plot of this tale to become the best one yet of the series. Fans of Harffy won’t be disappointed with this one, Beobrand is haunted by his past more than ever and this time things are taking more of a toll on our hero. Beo isn’t fully healed after the injuries he received in the last book..he’s getting older but he’s as sharp and deadly as ever. Harffy easily brings you back into the world he’s created. The first few chapters are written so well to hook you in but also remind the reader of some of the main characters in the tale. I won’t spoil it for you but these early chapters stood out for me.. it set the tone of the tale and included some very moving moments with Beo’s closest. We really see how much the events in the past have changed Brobrand..he’s one death away from a complete breakdown. Beo is a man torn. He misses his wife and the events surrounding her death still haunt him, although there’s a potential love on the cards for him in this tale. You can really tell how hard this must be for him.. he loves his wife.. but he yearns for physical love..I feel he’s lost so much he just needs someone by his side, to keep him warm, to make him feel alive..and to give him something to live for. While performing his duties for King Oswald Beo still has his own issues to deal with.. namely Nelda and Torran who don’t seem to want to give up on the idea of vengeance any time soon. The plot for this one really was brilliant, there are lots of strands to the tale to make it wonderfully full and complex but so well written it’s effortless to follow and understand. One of the highlights for me was how well the author dealt with changing attitudes towards religion and medicine. There are some really great scenes with one of my favourites Coenred but if I say any more it will really ruin the enjoyment for you. The major thing I really like is Harffy’s ability to remind you of the events of the previous books..even just mentioning the name Cathryn brings me back to the first book in the series.. the emotions I felt at the time flowing back. This is the best yet from Harffy, who has put so much time into crafting and developing such a rich and invigorating tale.. more than once I gritted my teeth and shouted obscenities in my head (I don’t like to swear while on public transport 🙂 ). I’ve really been taken into the series and credit to the author I really care about how things play out.. from the moment I open the book the world around me shuts off and the only thing that exists is this wonderfully brutal and harsh world Beo lives in. I must admit towards the end of the tale I wasn’t sure if Beo could make it out alive or not..there’s some brilliant twists to this tale and fans of Harffy will know anything is possible…I had my hand over my mouth a number of times thinking it was the end for Beobrand. I’m excited to see what the author comes up with next but at the same time I’m truly scared. I don’t want this series to end.. Overall this is a whopper of a book, Harffy builds on his well-developed characters and throws in a super plot. It’s the brutal dark gloomy tale we expect for Beo but the author always leaves you with that feeling that Beo can right the wrongs that have been done and that although he can’t change the past there is always hope.. Things can in time.. hopefully..get better..
Matthew Harffy is the author of the Bernicia Chronicles, a series of novels set in seventh century Britain. The first of the series, The Serpent Sword, was published by Aria/Head of Zeus on 1st June 2016. The sequel, The Cross and The Curse was released on 1st August 2016. Book three, Blood and Blade, was released on 1st December 2016. The Serpent Sword, The Cross and the Curse and Blood and Blade are available on Amazon, Kobo, Google Play, and all good online bookstores. Killer of Kings and Kin of Cain are available for pre-order on Amazon and all good online bookstores. This entry was posted in Blog Tours and tagged Bloggers, Book club, Book Lovers, Book Reviews, BookBlog, Books, Historical Fiction, History, Matthew Harffy, Reading, Reading List, Reviews on December 12, 2016 by Bairdy1985.